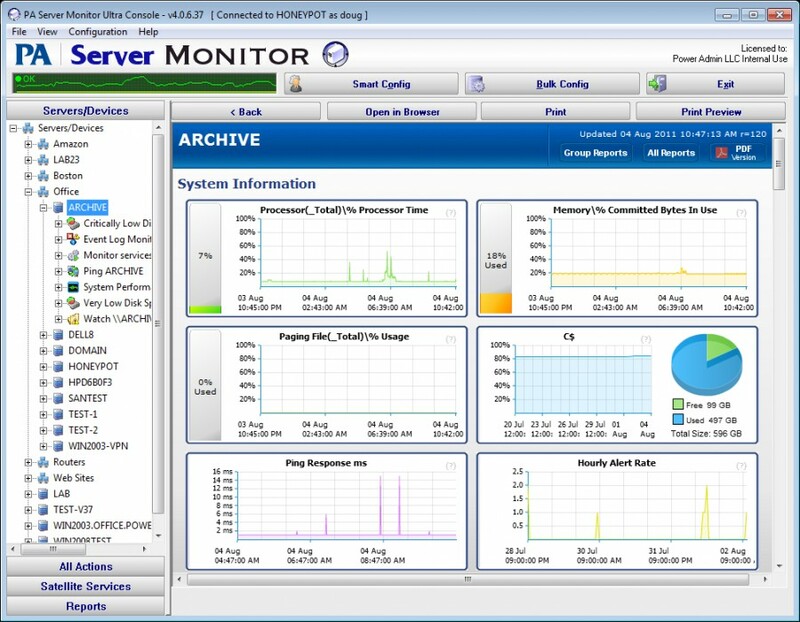 PA Server Monitor 3.4 is network monitoring software developed by Power Admin LLC. PA Server Monitor is a Windows service that monitors the health and availability of Windows servers, network services (on Windows, Linux and other operating systems), and devices. No agents are needed to monitor remote servers. Also includes rich reporting on most monitored resources. 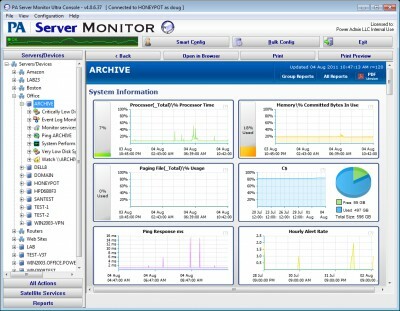 PA Server Monitor can watch: Event logs, CPU, memory usage, free server disk space, changed files and directories, running Windows services, and much more. PA Server Monitor 3.4 supports different languages (including English). It works with Windows XP/Vista. We have tested PA Server Monitor 3.4 for spyware and adware modules. The software is absolutely safe to install. We has completely tested network monitoring software PA Server Monitor 3.4 many times, written and published the interesting article and uploaded installation file (3316K) to our fast server. Downloading PA Server Monitor 3.4 will take minute if you use fast ADSL connection. SysPulsar allows one to monitor CPU usage, memory usage, disk space usage, etc.